Shares in Barkerville Gold Mines (CVE:BGM) rocketed on Monday after the company announced the latest set of drill results from its flagship Cariboo project in British Columbia. On the TSX Venture Exchange BGM exchanged hands for $1.11 a share around midday in Toronto, up 20% from Thursday's close for a market valuation of $390 million. Volumes were approaching 3m shares by lunchtime, four times usual volumes. Barkerville stock is up a spectacular 148% in 2017 with most gains coming over just the last month on a steady stream of positive news from its massive 1,177 square km Cariboo land position which includes six past producing mines. 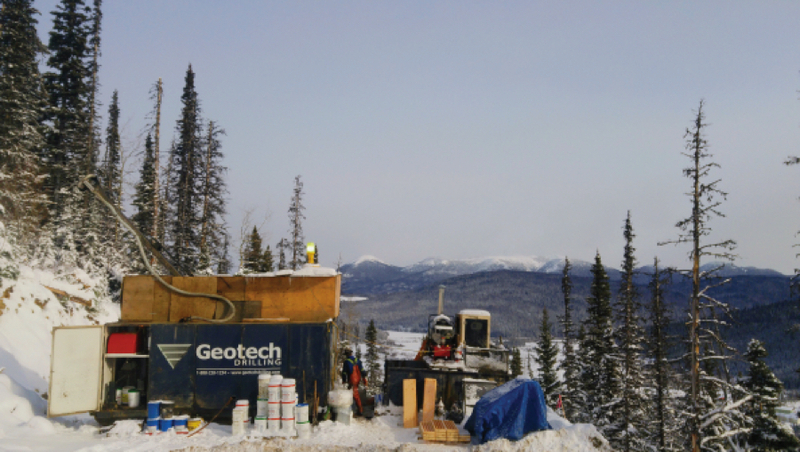 Chris Lodder, president and CEO of Barkerville said: “These intersections are some of the best to date on Island Mountain that continues to produce new zones of higher grade, wide zones of gold mineralization. We will be following up with both wide spaced step out and closer infill drilling in this area to better determine dimensions of this potentially strongly mineralized vein corridor”. Earlier in April the junior explorer announced permits to begin small-scale underground production at the property’s Bonanza Ledge deposit which it hopes to start up in July and proces at its own mill located 110km south of the property. “We’ll start with something small so we can learn how to mine these deposits from underground, and then apply it to the rest of the property,” Lodder says, noting the vein-hosted and replacement-style orogenic gold deposits fall within a 67 km long belt of prospective rocks. “Anything we build for the long-term will have to be scalable, because we expect to find deposits along the entire length of the mineralized trend .… We envision this camp as a 20-year plus asset,” he adds. The company finished a 60,000m program at Cow Mountain in 2016 and in March last year Barkerville updated the resource estimate for Cow Mountain outlining indicated resources totalling 2.8 million ounces of gold at an average grade of 2.4 g/t. Inferred resources total 2 million ounces at 2.3 g/t. Click here for the full Northern Miner interview (paywall).